One of the dilemmas many gardeners face is how to properly support their tomato plants. In the early spring, tomato plants are small and don’t need any support. But soon they will grow into huge plants that will flop over at the first hint of wind or a heavy rain. Those flimsy wire tomato cages are no match for the weight of a full grown tomato plant. 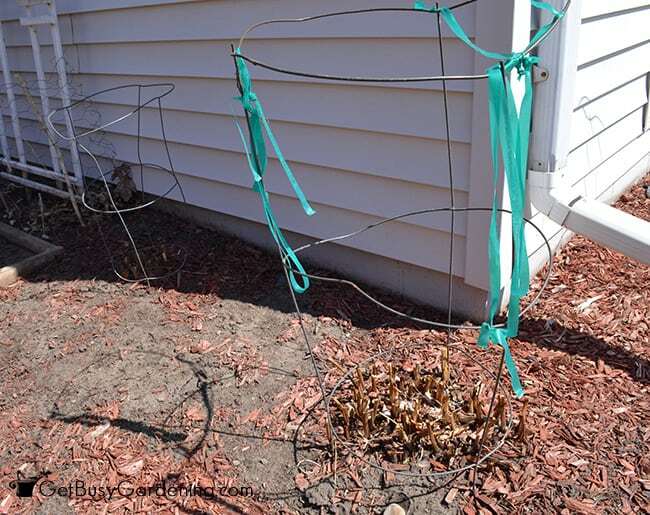 Over the years, I have tried different sizes and weights of these wire tomato cages – all of them have collapsed under the weight of my full grown tomato plants. I always found myself adding extra stakes around the pathetic wire tomato cages to keep the tomato plants from laying on the ground. What a pain! It was a constant battle through the summer. Well no more of that nonsense. 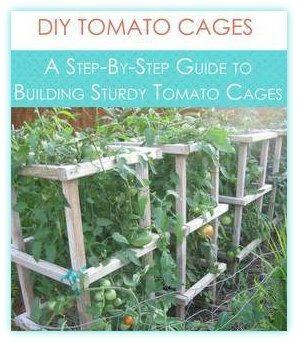 I have found the perfect solution to those flimsy wire tomato cages – check out these super sturdy tomato cages. 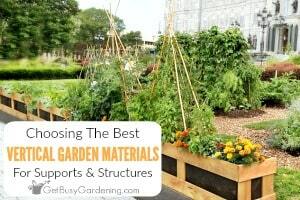 These are by far the sturdiest tomato cages I’ve ever seen or used, and you will love them too! My favorite tomato varieties to grow are red cherry tomatoes, Beefsteak, Cherokee Purple and Brandywine. I haven’t had a tomato plant yet that’s been too large for these sturdy tomato cages to support. Come wind, come rain, come hail (well…no hail please! ), my tomato plants aren’t going anywhere. 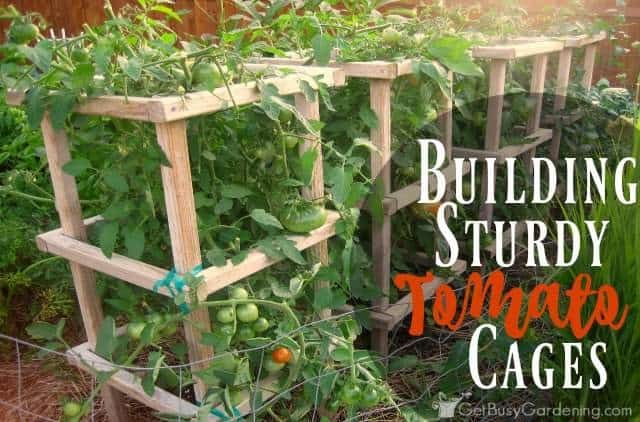 Interested in building your own Sturdy Tomato Cages? Click the “Buy Now” button to purchase your step by step instructions. 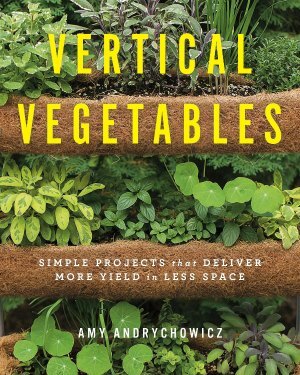 If you enjoyed my sturdy tomato cages project and want even more beautiful DIY projects to build for your vegetable garden, then you need my Vertical Vegetables: Simple Projects That Deliver More Yield In Less Space book. 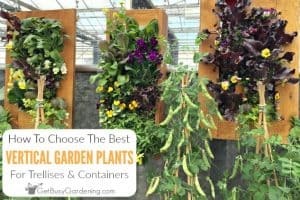 It has nearly two dozen unique step-by-step vertical gardening projects that you can build in your garden. Plus, everything you need to know about how to grow a vertical vegetable garden! Order your copy today! 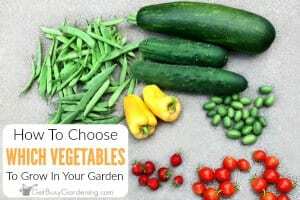 Learn more about my Vertical Vegetables gardening book. Last year and this year I have just used sticks from pruning as tomato plant stakes. I put one tall (5-ish foot tall) stick in the ground per tomato plant before planting. I use jute twine to loosely tie the stem to the stake, and add more twine and stakes as it grows. It works pretty well, and the only time I lost any plants was in the 50 mile/hour wind storm a few weeks ago. Your tomato cages look a lot nicer than my sticks though! Some day when I have more storage I’d like some nice sturdy cages. I don’t always grow the same number of tomatoes though and I’m not sure what I’d do with the cages if they weren’t in my garden. Wow I really like those! They look very sturdy and they are nice looking! This year I am only using indeterminate tomatoes and I'm going to try and have them climb a trellis made with pvc pipes and nylon mesh. They look like soccer nets, but hopefully they'll work better than my cages did last year! Wow, those are REALLY nice tomato cages! We use a really large chicken wire, they seem to work great, even with the heavy storms we have here in georgia. BUT we have 40 tomato plant's and building 40 of those would be very time consuming and idk how cost effective. 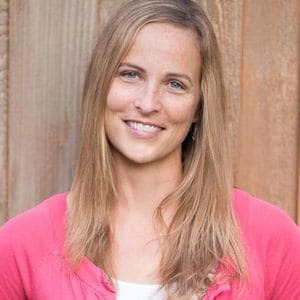 @…and she lived… – Thanks! I hope your tomato trellises work for you. I have never tried anything like that. Good luck! @Johnathan – WOW, 40 tomato plants?! Ha! You’re right, these tomato cages would not be a good fit for you. That would be too much work, and like you said, not very cost effective. Good luck with your tomatoes too (I can’t picture how you have the chicken wire set up though). What do you do with all of those tomatoes anyway? These sturdy cages look great, I’m going to get the plans to build my own for sure! 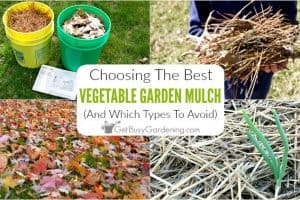 @theimperfectgardener! Thanks, I'm glad you like them. Have fun building them for your tomatoes. Thanks nk, so glad to hear that you like my sturdy tomato cages. Have fun building your own! P.S. Not being a handyman, I can't tell what the dimensions or name of the wood is–1x1s? I've never found anything I like that's sturdy enough to support my heaviest plants*–only problem is I have about 10 to 20 tomato plants–heh. I used the stakes and twine method with varying results. Maybe I'll try building a few of these sturdy wooden cages and see how it goes! *Actually there's one cage thing of my mom's I appropriated, but they're like $35 each if I were to buy them. Nope. Thanks! I was actually thinking of placing them offsset and then planting some tomatoes in between two cages, and tying them to either side. It might just work!! My brother-in-law has a workshop in his garage, so if I get the wood, it should be fairly easy for him to help me make them. Hey yo! Also, I swore (SWORE) I would grow no more than 10 tomato plants this year, so this might be doable. @Monica – I think that would work! Let me know if you try it. I was thinking you could modify my design to make the cages slightly smaller, then they wouldn't take up so much space. Good luck, I hope your BIL makes these for you. To ensure each tomato cage is super sturdy, I recommending putting the legs about 10” into the ground. do these wooden cages rot after being in the ground a couple of seasons? My topsoil is very thin, and over a bed of almost pure medium size rock (about 2.5 in.) Maybe if I take some square tubs and remove the bottoms, then fill with good soil then put the stakes on the outside of the tubs that might work. thanks! No, so far the wood has lasted very well. I take them out of the ground after I pull the tomato plants in the fall, so the cages are only in the ground for about 5 months max. Taking them out of the ground for the winter makes them last longer. If you’re concerned about them rotting, then use a rot resistant wood. I bought 6' wood tomato stakes and have been meticulously tying my plants up them – it's a pain and not all that secure. These cages look much easier. I am wondering, though, some of my tomato plants get very tall (8'). Do you ever have an issue with the plants toppling over the top? The plants do grow over the top, and I'll just tie them to the cage. I don't let my tomato plants grow much taller than the cages though, I've never had one get near 8' tall (WOW, 8' tall?)! 🙂 I trim them, which helps them produce more tomatoes, and makes for bushier plants. You could probably make your cages taller if you want taller plants. But I don't think 8' would be feasible. How in the world do you harvest from an 8’ tall tomato plant, LOL! I didn't read all the comments, but I was wondering if it would work to make the end pointed in order to set the tomato frames into the ground easier? In that way, it might be easier to plant the tomato plant first and then set the frame over the plant and put weight on the frame to push it into the ground. That’s a great idea! I think it would depend on how hard your ground is though. We have very soft, sandy soil and we still have to dig down a bit, and then pound them into the ground. We could probably just pound the cages in without digging if the ends were pointed, but I would worry that the extra force might break or weaken the frames over time. (I rotate my crops, so I pull these out every fall and put them back in the spring.) I think even if we sharpened the legs to points, they would still need to be pounded into the ground rather than being able to easily push them in. It’s not too difficult to plant the tomatoes after setting up the frames though, so that’s not a huge concern. I was inspired by pictures you posted of these homemade cages a year or two ago, and had my husband build a large frame that stays in the ground. I was able to fit eight wire cages inside the large wood cage and planted eight tomatoes just this week. I used firring strips and 1 x 1s and the frame is about 9 ft long x about 2 ft wide x about 4 ft above ground. 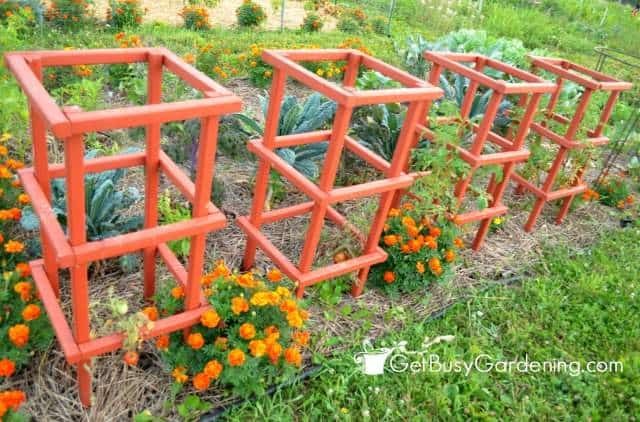 Love the look of these diy tomato cages and even when they’re bare, it’s a nice sculptural look. For storage, though, seems like you could make slightly graduated sizes that would still be appropriate for the tomato plants and then out of season they could be stored one inside the other like nesting dolls. With three each of three sizes, you could store nine cages stored in the space of three. Not sure if that would be as aesthetically pleasing in the garden, though. That’s a great idea, thanks for sharing! I just leave my tomato cages out in the garden all the time, so storage isn’t an issue for me. But yes, I bet you could figure out how to make them different sizes so they are stackable for easier storage. Did you use pressure-treated wood to build your frames? Yep, we have so many cages and long stakes and tree limbs recycled and have tried so many thing sover the years to stake ours but always end up with a tangled mess of tomato plants in our raised beds. I am so making these using leftover wood and fallen limbs. I use pantyhose rings (learned from Martha eons ago!) as ties. My 7 yr old gets a kick that her (shredded!) red plaid tights are now plant ties. Yes, I too have tried many ways to stake tomatoes, and these cages are by far the best. Hope they work out well for you too! That’s a great tip to use old pantyhose as plant ties! Repurposing is awesome! How have these tomato supports held up season to season? Is this a once a season build or usable for multiple seasons? These cages are definitely useable for multiple seasons and years. We built them about 8 years ago, and they are still going strong. The screws have loosened up a bit, but they are totally sturdy once they are in the ground (we move them around for crop rotation every year). The legs are starting to wear down a bit (in the area that’s underground), but it will take several more years for them to rot through. We pull them out in the fall, so they don’t spend the whole winter in the ground. They will definitely last several more years. I am going to make an attempt to build some of these this week! Wish me luck! Awesome, you are welcome! And thanks for adding your tip about using the wood glue in addition to screwing the frames together. That should definitely help the cages last longer too. I’ve got some new Fir Green wood preserver on the way- I wonder how they would look with a green tint? I’m not sure how long the cages will stay green when you use your own wood preserver. But it takes about a year for the color to start to fade on the treated wood from the store. I use plenty of wood preserver too, applied by brush to the cut ends of wood. I dip the feet and soak them for a while to get good absorption. What a great idea. I am growing cherry tomatoes and only have one plant more next year! Awesome! Glad to hear you like the tomato cages! Thanks, I’m so glad you like them! 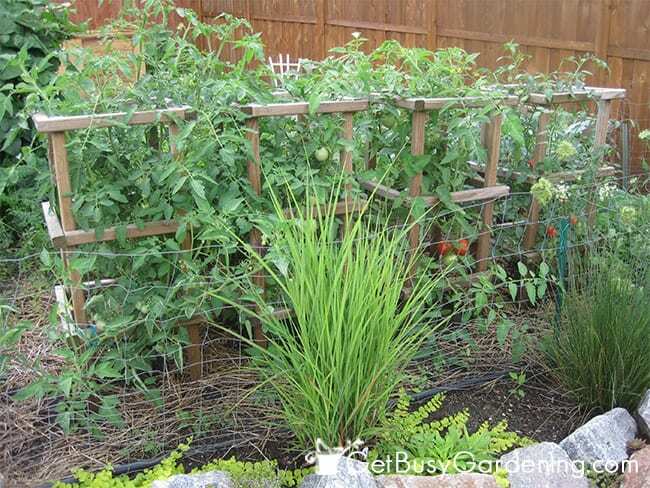 Your tomato trellises sound very sturdy too.